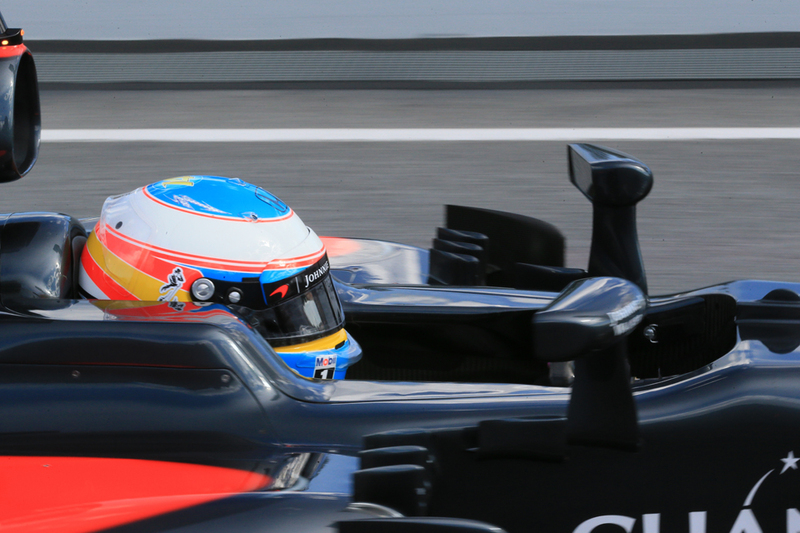 Today's qualifying session for the Chinese Grand Prix was one for old stories. Appropriate on a day that F1 returned finally to its previous qualifying system, plenty of long-established tales looked possible. And in the end the main one was that about Mercedes holding all of the aces, and that it plays them to full effect when it most matters. The oldest story of all. The first story of the day in Shanghai was one with a old whiff, well from 2014 anyway. 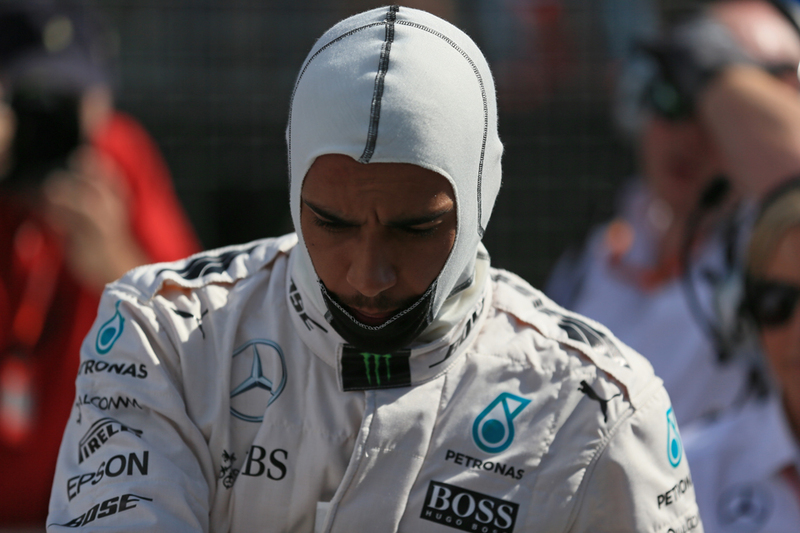 That Lewis Hamilton for some reason cannot get a clean weekend this campaign. We knew in advance he'd get a five-place grid drop at least for this one due to having to replace his gearbox ahead of time, but in the qualifying session for him it got worse. Much worse. He didn't appear for a while due to engine woes, then when he did with six minutes of Q1 to go it transpired it was mainly done as there was little to lose and the problem was far from solved. He aborted after a lap as ERS problems had cooked his goose, and is consigned to start last tomorrow with a new engine, once again in damage limitation mode. It won't be much compensation to him presumably that it'll be entertaining for the rest of us watching him proceed through the pack. "These things are sent to try us" he later mused philosophically, before adding looking ahead to the race while "you can overtake here, tyres don't last as well", but "it ain't over 'till it's over". As for his Mercedes? "It is quick". Yet back at the front for much of the time it looked, in something of a new slant, like Ferrari would be the one to beat in Shanghai. The red cars this weekend had topped second Friday practice, the wet early Saturday session then the opening part of qualifying. But we really should know better than to write Mercedes off. Merc's first smart move was on strategy. Tomorrow the super-soft tyres - not normally brought here but the default for qualifying - aren't expected to last long. Paddy Lowe of Merc for one predicted that for those starting on them the first stops would be seen at around lap five, while with his usual sang-froid Daniil Kvyat said "I don't think it's going to be an excellent tyre". And with Nico Rosberg the silver lot pulled a master-stroke, by running Nico on the soft tyre instead in Q2 so that he'd start on those instead. The risk with this is of course that with the slower tyre you might not make it through to Q3. But in the event it was hardly a risk for Merc; Nico did a fine 1m 36.2 that topped the times for the most part, and was pipped only by the Ferraris, and then only by a tenth. All of a sudden after looking under serious threat Rosberg and Merc appeared, as Martin Brundle noted, in control of the event. It also seemed ironic, or perhaps exasperating depending on your perspective, that when it looked for once that it wouldn't have the pure pace Merc had you covered nevertheless on brain power. But come Q3 Rosberg looked vulnerable again, as he only found an extra tenth of time with the super-softs bolted on and Kimi Raikkonen - who's looked on it all weekend - whizzed around to beat Nico's mark by two tenths and top the charts. This made a very old story look possible, as by staying there it would have been the Finn's first pole since the French Grand Prix in 2008. And a different old story lingered on the horizon at the same time, as Sebastian Vettel was winding himself up for a single Q3 run at the end to aim for pole himself. It's the sort of trick he's pulled plenty before. But then we got the oldest story of all, with its oft-repeated paragraph that come the vital part of the qualifying session Mercedes cranks its engine up. Just as in Bahrain last time out it got it something extra in the very last of qualifying; just like then it was something like half a second. Sure enough Nico did a 1m 35.4 on his final run and the attendant gasps were almost audible. 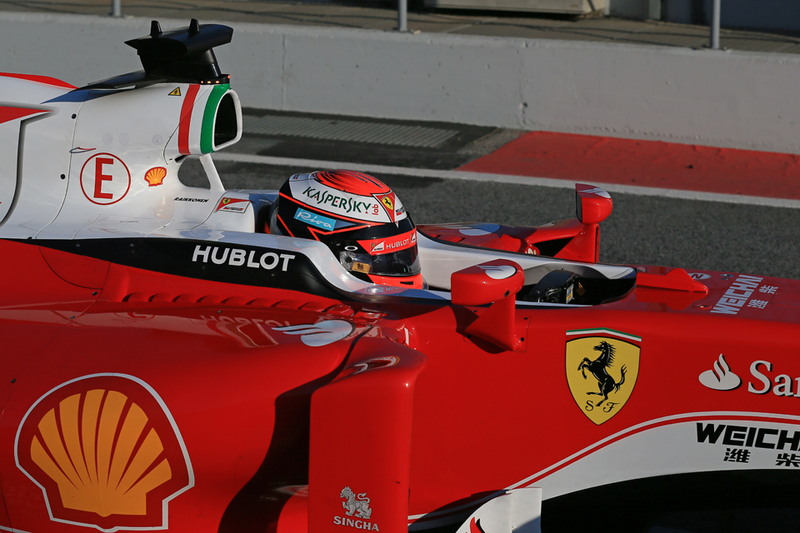 Kimi stayed roughly where he was half a second shy, while Vettel was a whole seven tenths off the top. 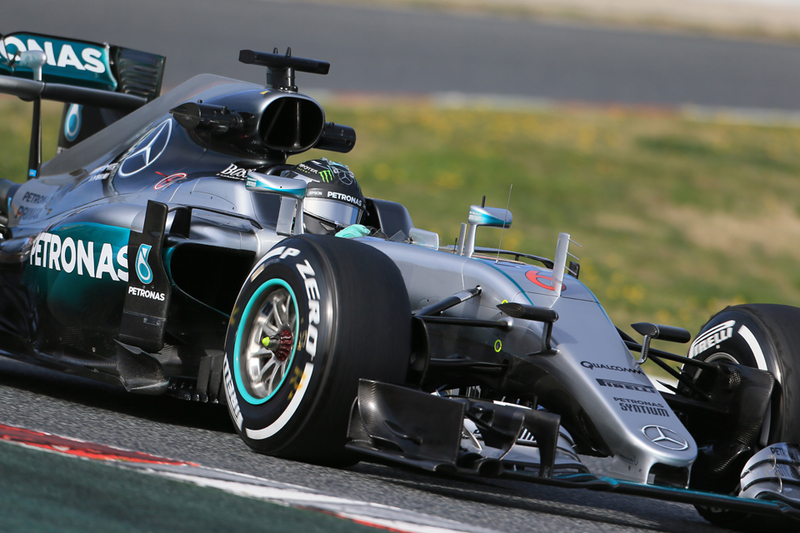 Rosberg was set fair, and it's also the fifth pole in a row for Merc at this circuit. We really should get around to leaning this tale off by heart. Kimi pointed out it wasn't just about turning engines up though. "I am pretty disappointed because I had a mistake [at the hairpin] and it cost me an easy second place if not close to first", he said. And that without it he reckoned he would have been "very close at least [to pole]; whether it'd have been enough I don't know". Vettel's lap too looked rather scruffy, both when entering the main straight then as with Kimi on the brakes at the end of it. "We saved a set of tyres" said Seb of his approach, "I was happy and confident that I could make it in the last lap - but I didn't! I wasn't happy with the lap, I did a couple of small mistakes here and there which cost me quite a lot of time". Indeed the Scuderia didn't even get a 2-3 for tomorrow's grid, as the party was rather gatecrashed and by a Honey Badger. In another factor redolent of 2014 Daniel Ricciardo was right there and snatched a front row start amid the aggro, and while the Red Bull looked a little improved this weekend second on the grid was not seen coming. "The fact that I am here [on the front row] I would have assumed it was a wet qualifying" said Ricciardo afterwards, "so to be here on the front row with dry qualifying is awesome, really happy". And even he struggled to explain his elevated place. "I wouldn't say I was completely happy with the car, but I did feel we improved it throughout the session, so that helped. But even for Q3 the lap was OK but I guess with the cold conditions everyone was struggling with the tyres. "I knew my first lap in Q3 was pretty good, so when I crossed the line again and saw I'd got four tenths off that lap or whatever it was I thought we might be on chance of top three here. Then I saw the scoreboard and I'd got second..."
Rosberg meanwhile was suitably content with life. "I'm pleased, it went well. The whole weekend's been going well. "Nevertheless Ferrari has been very close, the pressure was on at the beginning of Q3, as Kimi did a good lap starting in Q3 then he made a mistake at the end of Q3 otherwise he'd have been closer which is a bit what we expected, so I really had to nail my lap". It was rather a disrupted session, with an extended reg flag period in the first part after what appeared rather a minor tap on the Armco by Pascal Wehrlein. Then Q2 and therefore those getting into the top 10 was decided early when Nico Hulkenberg's front wheel fell off with around 90 seconds left (which he later got a three-place penalty for). And those at McLaren had more reason than most to regret this, as its cars had only run on old tyres by that point and were winding up for a stab at getting into Q3, and one that looked probable, only for the red flag to end the charge. Alonso's groans on the team radio as this was confirmed summed up matters, but summed up too that suggestions around recently that his motivation is waning are rather, erm, heroic. "Yeah, massively frustrated today" confirmed the Spaniard afterwards. "I think the car has the potential to be in Q3, both McLarens were competitive, yeah we didn't use the new tyres, we didn't use the full engine power. Just waiting for that lap to be in Q3, and we didn't even open the lap, so that was frustrating". Still, as he noted too "we were aiming to pass Q1 a few races ago and now we are frustrated not to be in Q3 so definitely the car is growing and we are moving in the right direction. Also we have free choice of tyres for tomorrow's race so let's take advantage from that." But it's not the end of the matter. Nico of course starts on the softs as mentioned, which while should be good for him in the longer run doesn't have the lower temperature working range that the super-soft does, meaning the first few corners will be fun. You can add to this that rain post qualifying will wash the track clean of its rubber. Danny Ric could lead if he gets off the line well, though then again his starts haven't always been stellar. 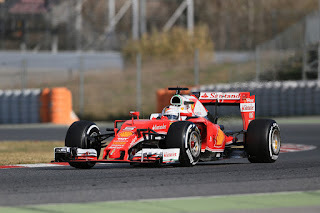 But after this we have the Ferraris which are expected to come on strong. Seb thought so anyway. "Obviously the Red Bull [needs to be] squeezed past, I think we can be quicker tomorrow, our target is to go forwards from where we are". 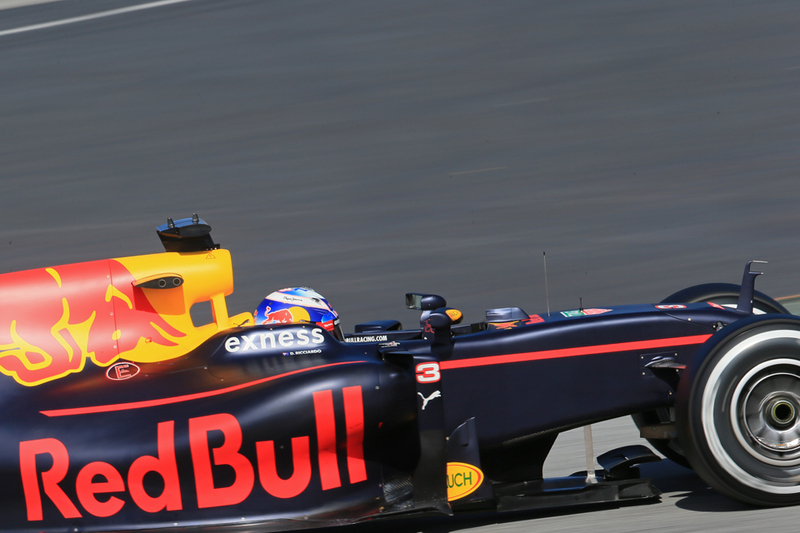 Even Ricciardo admitted that "realistically Ferrari should have better race pace [than him]". 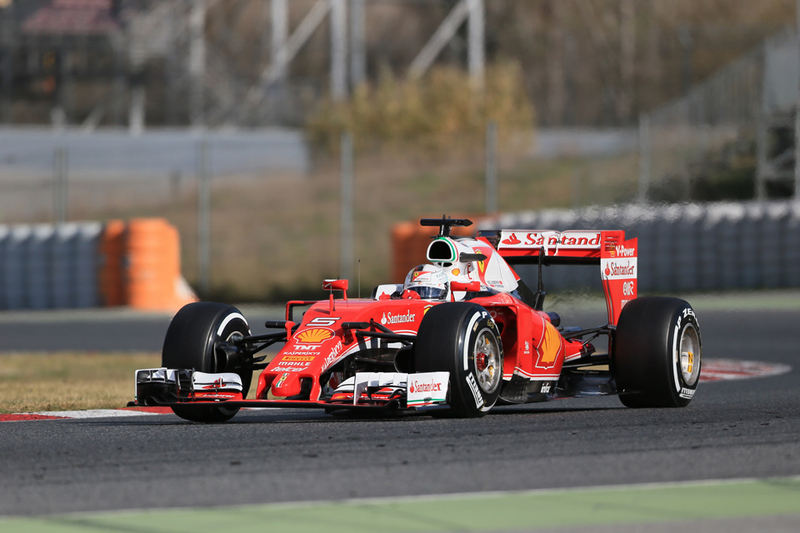 Then it becomes a strategy battle, with Mercedes and Ferrari taking different approaches. But just like today Nico looks well set. And he knows it. "It's good that I'm starting on softs" he said, "I'm sure that's going to be a bit of an advantage tomorrow in the race". And, having just about stopped himself expressing surprise Ferrari didn't adopt the same approach, he predicted that he'll be able to stop just twice. "There's many options tomorrow" he added with a flourish. 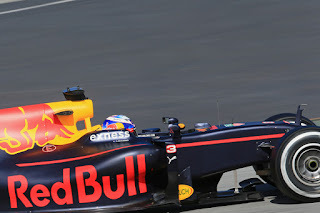 Ricciardo for one concurred. "Hopefully we've a race with Ferrari. Nico [Rosberg] starting on the softs should be in good shape" he said. Mercedes retaining control of matters no matter what as mentioned is about the oldest story of all; one that these days doesn't waver very often from its set plot. And in what is by now threatening to become an old story, everything continues to come up Rosberg.